Hi it’s Carrie here again with a New mini PL layout. 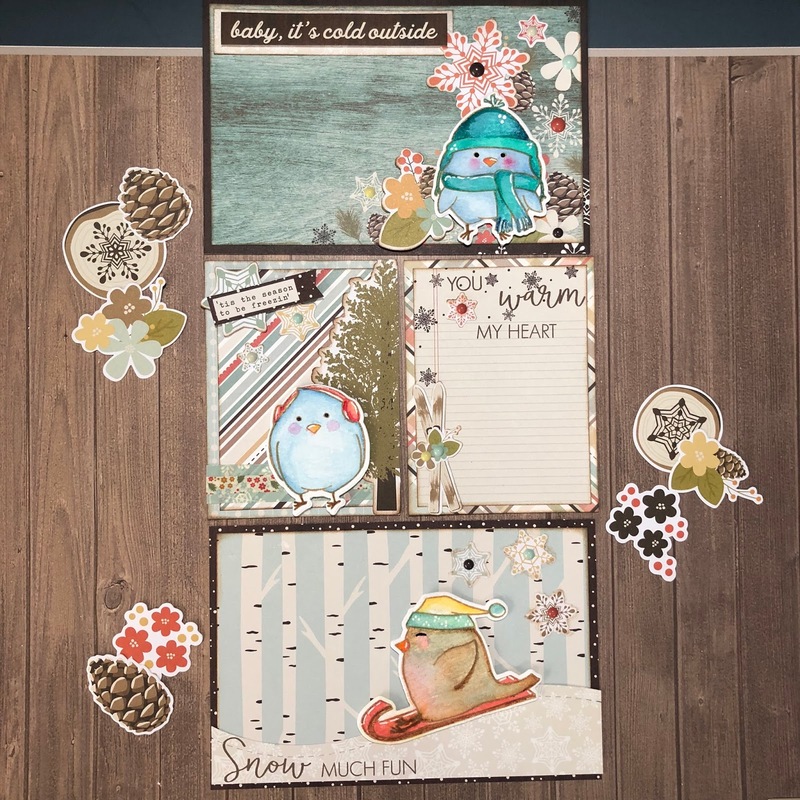 It’s finally cooling off here is Southern California and with the arrival of the Newest Honey Bee Stamps winter release I was inspired to create a Tweet Chilly pocket page layout using the Snow Birds stamps and dies. 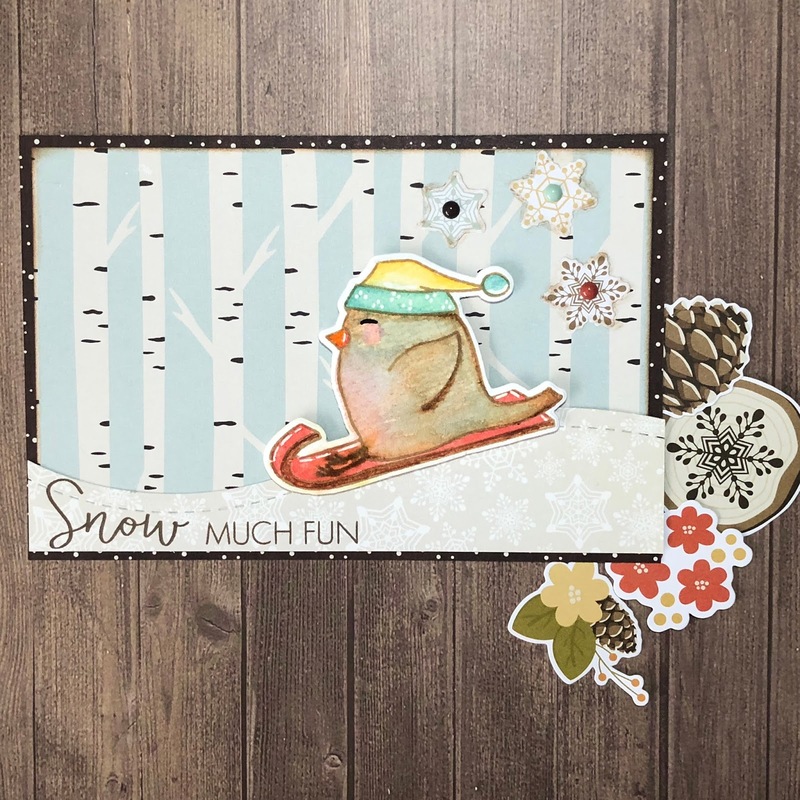 These adorable Snow birds are so fun to create with along with the matching dies. 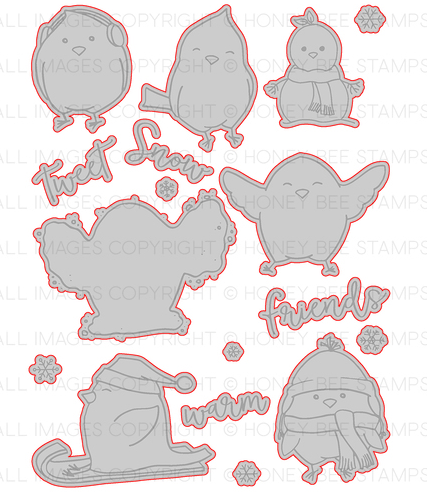 The sentiments in the set are perfect for documenting all your winter fun activities. 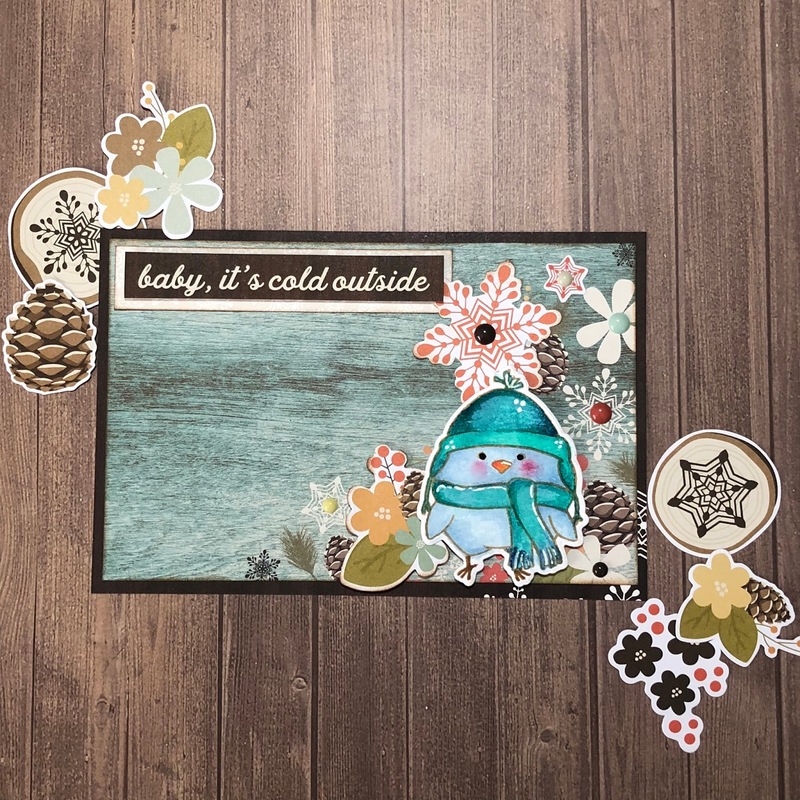 I used the Simple Stories Winter Wonderland paper and embellishments when creating this layout. 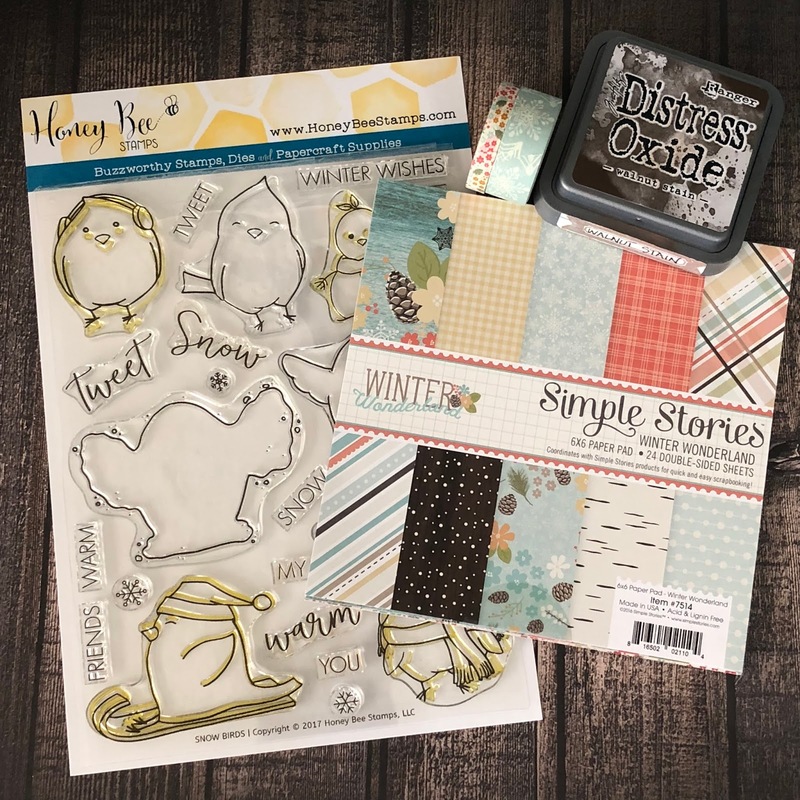 I just love all the fun items in this collection, like the washi tape, enamel dots, fun die cuts and stickers. It really makes creating layouts fast and easy. 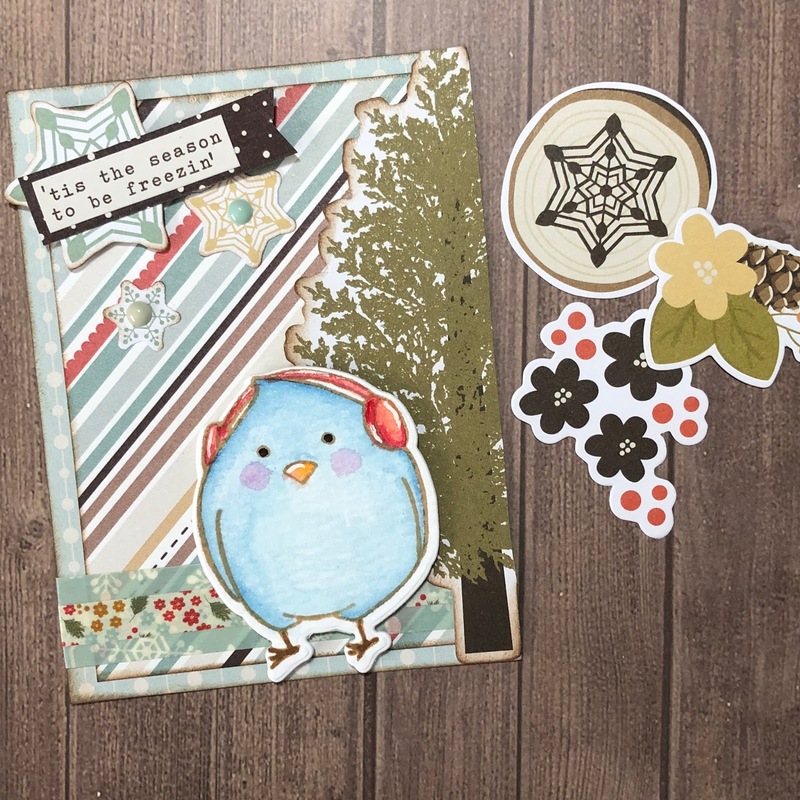 I used the Prima Marketing TROPICALS Watercolor Confections Set to color the birds in my layout. 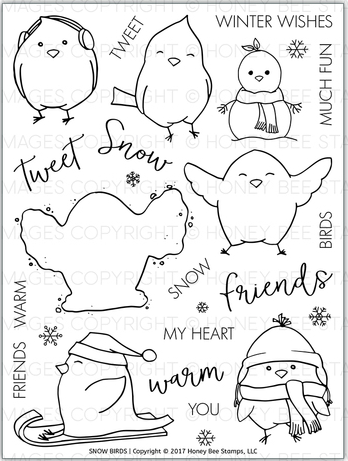 If you love these Tweet Snow Birds as much as I do.. buzz on over to the Honey Bee shop and grab yourself a set before they sell out.